Unfortunately making a successful visa application in 2019 for the Australian General Skilled Migration (GSM) program is a lot harder than ever before. But if your dream is to be a UK migrant, moving to Australia don’t get disheartened. 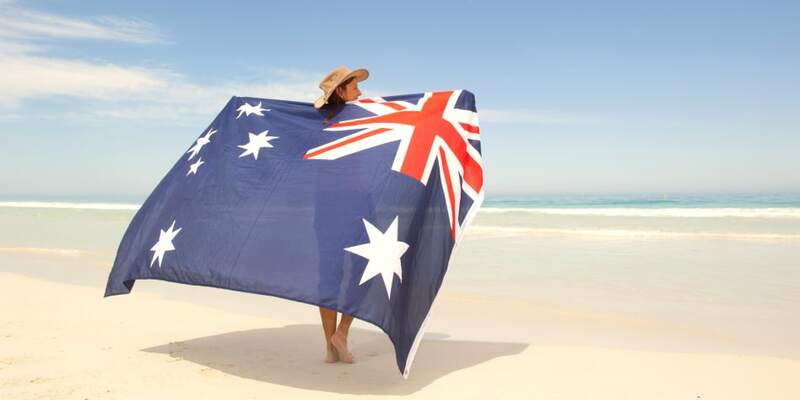 Many British people still successfully migrate to Australia every year, but to have the best chance of success you need to carefully research and consider your application. 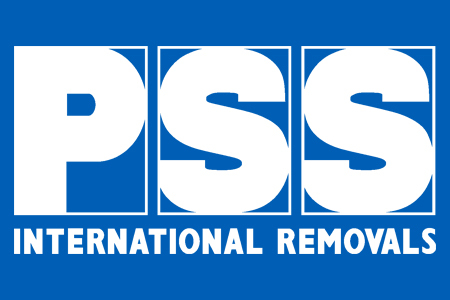 At PSS International Removals we work with a number of experienced MARA registered migration agents. Their expertise is ever more valuable and necessary as the migration process becomes more complex and challenging. We’ve asked Grahame Igglesden – a veteran of the Australian migration industry, for his advice for UK migrants starting out on their visa application journey on Skillselect. With proper planning and preparation before you submit your Expression of Interest (EOI) for an Australian skilled visa through Skillselect, you can assure yourself the best possibility of success. As the run-up to this year’s election is fast approaching, politicians from both sides are monitoring the views of Australians with only 3 out of 10 supporting the need for Australia to increase its population. Fears of cities such as Sydney and Melbourne becoming too overcrowded, and homes being priced out of the reach for most people plus roads and trains heavily congested are impacting on people’s lives. 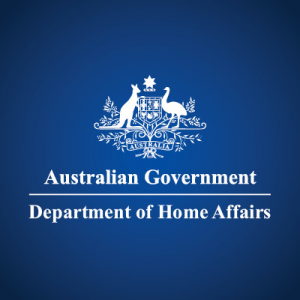 With growing public concern about Australia’s immigration intake, the Department of Home Affairs (DHA) is considering reducing the migrant intake from 190,000 to 160,000 in the 2019-20 financial year. Most Australians would support this strategy and encourage companies to adopt training programmes for its own people rather than maintain or expand its skilled migration programme. I have been a Registered Migration Agent for 20 years and involved in the Australian migration industry for much longer at both federal and state level. The changes I have witnessed over many years and introduced by the DHA means that if you are a skilled person contemplating a new life in Australia you will experience a far more complex visa programme and will face greater challenges throughout your visa journey. If, however, your dream is to be a UK migrant and start a new life in Australia, don’t get too disheartened as many British people still successfully migrate to Australia every year. To have the best chance of success you need to carefully research and consider the various stages of the application process and decide which visa option is best suited to you. With proper planning and seeking the right advice before you submit your Expression of Interest (EOI) for an Australian skilled visa through SkillSelect, you will be able to plan your future with the confidence that your expectations are realistic and achievable. Nowadays, there is far more to consider, and much can change as you weave your way through the migration maze. The first thing to understand is that you cannot apply for a visa until you have been invited by the DHA. To do this you must lodge an Expression of Interest (EOI) and to progress to the next step you will need to have generated sufficient points. You should not submit your Expression of Interest (EOI) for your Australian Skilled Migration Visa until you have explored all your visa options and considered all these important questions. SkillSelect is the Australian Government’s online application system for anyone wanting to apply for a skilled migration visa to live and work in Australia. You begin your visa journey by first completing an ‘Expression of Interest’ (EOI). The good thing is that once you have submitted an EOI on SkillSelect, your details can be found and nominated for an Australian skilled visa by employers as well as state and territory governments. Although your EOI is valid for 24 months and you can update it during that time, you cannot change it once you’ve received an invitation. It is therefore very important that you aim to get it right first time as once you are invited, you only have 60 days to make an application. If you don’t have the right information and required documents to hand to support the claims you made on your EOI, your Australia visa application can be rejected. It is therefore vital that you ensure you are fully prepared before you submit your EOI in order to give yourself every chance of success. If your nominated occupation features on the MLTSSL you can lodge an application under visa sub-classes 189 (Skilled Independent), 190 (Skilled Nominated with the support of a state or territory government) or subclass 489 (Skilled Regional (Provisional) with either nomination by a state or territory government or sponsorship from a close relative settled in a designated area of Australia). If, however, your occupation only feature on the STSOL you must be nominated by a state or territory government or by an employer. You will not be able to apply under subclass 189 and you cannot be sponsored by a close relative. The up to date skilled occupation list can be found on the Australian Government website. In the UK, most applicants will generate points for their age, English (via a test), qualifications, work experience, nomination by a state/territory government or sponsorship from a close relative residing in a designated area of Australia. Points can also be awarded for a Professional year, Australian study, Credentialed community language, studying and living in regional Australia and partner skills. Currently, only applicants with a points score of 70 are being invited to apply (even though the EOI entry mark is 65 points) for a Skilled Independent visa (subclass 189) but being nominated by a state or territory government has the benefit of being awarded 5 extra points for subclass 190 (Skilled Nominated) and 10 points for subclass 489 (Skilled Regional). The DHA are actively encouraging people to settle in regional or low population growth areas of Australia. With 10 points available for choosing to live outside some of the more populated cities these points can make a difference in meeting your points target. Remember also that if you choose to reside in South Australia, Tasmania or the Northern Territory you can live in the capital cites of Adelaide, Hobart and Darwin. This will depend on your nominated occupation and which assessing authority is responsible for assessing your skills. Most professional occupations require an education level of a degree or higher diploma with a combination of relevant work experience. Specific occupations such as Teachers, Nurses and Engineers require relevant qualifications whereas senior managers and IT professionals can be assessed on the basis of work experience or accountants if they are a member of a recognised accounting body. Trades-persons assessed by Vetassess can be considered with a combination of informal training and work experience over 4 or more years, but occupations assessed by Trades Recognition Australia require formal college based training and at least 3 years post qualification work experience or an AQF3 certificate awarded by a Registered Training Organisation with evidence of at least 3 years skilled employment. Once again this will depend on your nominated occupation. For example, General Occupations assessed by Vetassess require between 1 and 3 years work experience depending on the relevance of the qualification to the nominated occupation. The Australian Computer Society require a minimum of 2 years highly relevant work experience and up to 8 years if you do not have a formal qualification. Trades persons assessed by Vetassess need 4 years’ experience in the nominated occupation at the skill level required which can include time spent in workplace-based training, up to a maximum of 12 months. It is therefore important to note that in some occupations work experience which forms part of the skills assessment cannot be claimed as work experience points when submitting an EOI. We often receive enquiries from applicants who have not kept evidence such as payslips and taxation records or whose work statements are too vague for a case officer to determine the employment history. Applicants are required to prove their employment history by presenting detailed statements of service specifying the actual period of employment, number of hours worked each week and duties performed. Statements must be backed up with secondary evidence such as payslips, P60’s, taxation records or bank statements showing a trail of funds deposited by a client or employer. Failure to provide this evidence will result in the case officer not allocating the points claimed in your EOI. Generating points for English via an English language test can pose the biggest obstacle to achieving the required number of points (particularly for trades persons applying for a Skilled Independent visa). I can perfectly understand the need for an applicant whose first language is not English to prove their English ability regardless of the passport held. It would seem reasonable to me that if you were born in a country such as the UK, were educated in an English speaking school, attended further education via an apprenticeship, college or tertiary institution that you had sufficient command of the English language to be able to live and work in Australia. Applicants, however, who hold a passport from the UK, USA, Canada, New Zealand or Republic of Ireland are considered to have a level of Vocational English but will not be awarded any points for this level of English. To be awarded points for English you will need to sit an English language test to claim 10 points for Proficient English and 20 points for Superior English. SkillSelect on the DHA on-line visa system is used to make an EOI for an overseas applicant who wants to migrate to Australia. By submitting an EOI you are providing critical information about your age, education and qualifications, skills assessment, employment history and English language skills which will attribute points and enable the DHA to consider inviting you to apply for a skilled visa for Australia. This information needs to be accurate as it cannot be changed after an invitation to apply is received. If you have miscalculated your points and claimed for example points for work experience that cannot be verified your application may be refused. Invitation rounds for the Skilled Independent visa (subclass 189) and Skilled Regional (provisional) visa (subclass 489) visas are run on the 11th day of each month. Invitation numbers in each round may vary depending on the number of applications being processed by the DHA. The highest ranked applicants by points score are invited to apply for the relevant visa. For applicants who have equal points scores, the time at which they reached their points score for that subclass (referred to as the date of effect) determines their order of invitation. Currently only applicants who have achieved a points score of 70 are being invited to apply. Applicants being nominated by a state or territory government (visa sub-classes 190 and 489) are not subject to invitation rounds and can lodge an EOI with less points as 5 or 10 points are generated for the nomination. Some states have, however, raised thee number of points required in their quest to select the best and brightest applicants. If you have a partner and you are not married but living in a de-facto relationship you will need to provide evidence of your commitments established in at least the 12 months before your invitation is received. 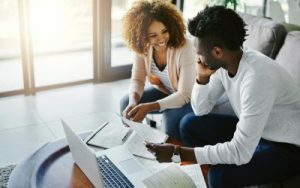 Emphasis is placed on commitments established between you both which is generally demonstrated by sharing a common residence and evidencing a level of mutual support and co-operation in financial, social and domestic matters. The amount of evidence you provide will be determined by your personal circumstances and will vary considerably depending on the duration of the relationship. Applicants who have only recently married will also be required to provide evidence of their relationship history. Each case is assessed individually and will have regard to when the conviction(s) were committed, the sentence imposed, the mitigating circumstances and the steps you have taken to rehabilitate yourself. You must advise the DHA if you have any criminal convictions inside or outside of Australia. Your visa application may be refused if you fail to disclose any previous convictions including any convictions that have been stepped down from police records as your police report will state ‘No Live Trace’ which indicates you do have a police record. The health requirement is designed to protect the Australian health care system from significant costs plus risks to ensure that additional pressure is not put on health care and community services that are in short supply. No diseases or health conditions will automatically result in a failure to meet the health requirement. This is because the likely costs will depend on the form and severity of the condition. If a Medical Officer of the Commonwealth assesses you as unable to meet the health requirement because you have a disease or condition that is likely to require the use of health care and community services in short supply or on the grounds of significant cost your visa application will be refused unless a health waiver is available. A MARA registered migration agent can quickly give you a realistic assessment of your chances of success and guide you through the whole process to make sure you tick all the necessary boxes. They can also help you maximise the number of points that you can claim to help you get that important invitation to apply for a Skilled Migration Visa. No doubt by now you’re head will be spinning and you may be plagued with doubts about your chances of success in the Australian General Skilled Migration (GSM) program. However, don’t get overwhelmed. Take a deep breath and consider talking to a professional and experienced visa agent to help you through the process. They can quickly give you a realistic assessment of your chances of success and guide you through the whole process to make sure you tick all the necessary boxes. They also help you maximise the number of points that you can claim to help you get that important invitation to apply for a Skilled Migration Visa. 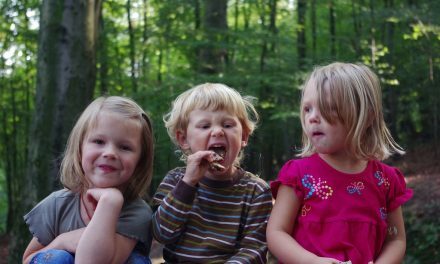 Well, to get you started, here’s three we have worked with at PSS over the years and have been recommended by our customers who have made the successful move to Australia. All are MARA registered and very experienced at guiding prospective UK migrants through the Australian visa application process. Once you have organised your visa you will need to organise your shipping and removals of your household goods and personal belongings. Click here for more information on household removals to Australia. If you are just shipping boxes of personal belongings to Australia then click here. 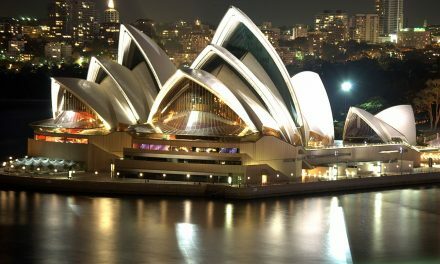 This article gives you any indication of the costs of removals and shipping to Australia. 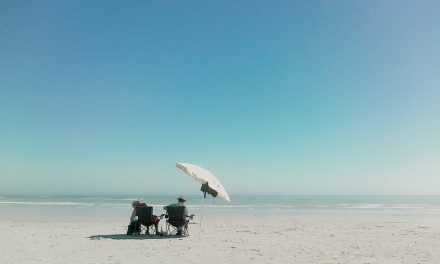 Here’s some inspiration to keep you going whilst your waiting for your visa! Or if you’d like a free trip to Australia see our article on How to apply for BBC’s Wanted Down Under!